When we got the chance to hook up with Everton and Belgium striker Romelu Lukaku, there was only one thing on our minds – football boots. 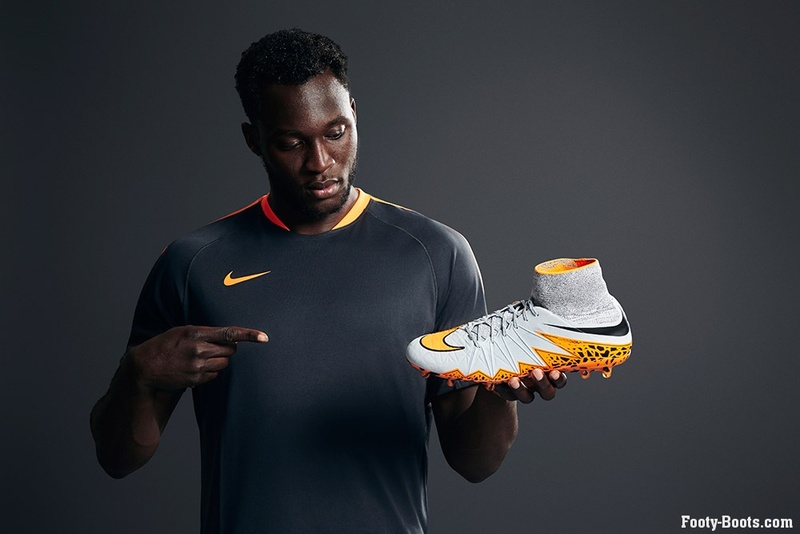 Just after the unveiling of the Nike Hypervenom II, we managed to bag some time to pose a few questions and find out how ‘Big Rom’ likes his ‘venoms’…. 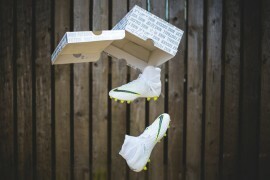 Do you get excited when you hear that Nike are releasing a new football boot? Yes, definitely. 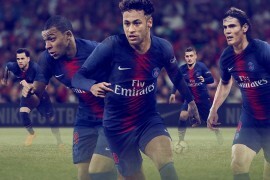 Every time we have new boots to test, and then play in, you know that Nike has taken things a step forward so that is always a good thing for players. Did Nike send you prototype versions of the Hypervenom II to test out in training? Yeah, I work really closely with the guys at Nike on testing out the boots ahead of their launch. It is good to see how the boots develop from the first prototypes to the final boots. As players, we give thorough and honest feedback on boots so that Nike can create the best product. Have you given any specific boot feedback or requests to the Nike development team that you have seen taken on? I think it’s important for the players to give feedback on each boot and it is always good to see Nike listen to this when they develop a product. I have a few customisations on my boots, mainly to protect my mid-foot, which I need after breaking my metatarsal a couple of years ago. What do you think about the new Hypervenom II? I really like them. The bright colours are great for me. 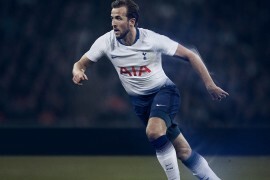 They are super light as well which is good for a forward player, we need boots that help us to be fast and agile and the new ‘venoms’ are perfect for this. In the past, you’ve said that because you wear a large boot they can take some time to wear in, how did you find breaking in the new Hypervenom II? My feet are a size 13.5 and I have had foot injuries in the past so my needs are slightly different from most players. Because I work so closely with the team at Nike on providing feedback, I can play comfortably in them straight away. You were in Superfly last year, then you switched to the Hypervenom. What made you decide to change? I spoke with Nike and, between us we thought that the Hypervenom range might be better suited to me. It provides the right balance between foot protection, a lightweight boot and an accurate strike, which gives me everything I need as a striker. What is the biggest difference between the old Hypervenom and the new Hypervenom II? The first thing you notice is the Dynamic Fit Collar, which I really like because I have big ankles and helps the boot to be really comfortable. Also the old boot had the dimples all over which are not there any more, the new one is better fitted to the foot and the movements you make when you’re running and turning quickly. They’re so light and so comfortable. The Hypervenom II is designed for ‘deadly agility’, is this something you noticed when you tested the boot? Yes, definitely. Like I say, the boots are really well fitted to the foot and bend and mould with the foot really well when you are running and turning. You don’t want boots to slip around your foot or feel to heavy when you are making these movements and with this boot these things are really not a problem at all. A new Dynamic Fit Collar has been introduced on the Hypervenom II, how does it feel? It is really comfortable. That is the main thing. It also makes my whole foot feel more secure in the boot so, for me, I really like it. How many games do you normally wear each pair of boots for? I don’t like to change too often as you want to wear boots in, to form to your feet. Once I’m comfortable with that in training I’ll start wearing the boots during matches. I might change it once I have another pair from training that feel right or even better but I don’t like to change around too quickly. What is the first feature you look for in a football boot? The main things for me are comfort and colour. They have to feel great and I really like boots with bold colours that stand out. Obviously I like the boots to fit well and feel right on but that has always been something Nike deliver for me so these days I always look at colour first! Lukaku wears the Hypervenom II, a boot designed for attacking players that are deceptive by nature on the pitch. The Hypervenom II is available from the Nike Football app and nike.com now.